At last(!) there is a comprehensive and broad focussed review on molecular gastronomy (MG) in the scientific literature. Also, I stumbled over another scientific paper on the same topic from 2007 which has missed my attention until now. Martin at khymos has written a short post on the most recent and comprehensive addition to the scientific publications on MG: "Molecular Gastronomy: A New Emerging Scientific Discipline" written by eight(!) researchers in the field, and is open access. What a gift! Since it was mentioned already in a paper from 2008 (van der Linden, McClements & Ubbink, ref. here), I've been waiting for this paper for at least a year. It is incredibly welcome that others than Hervé This writes about MG in scientific papers, and now we have several contributions with slightly different viewpoints on the same phenomenon. If I should point at one downside about this paper, it would be the rather short and less-than-comprehensive parts on dissemination (reaching the general public) and education. However, these are parts on the "Summary and the Future"-part, which seldom are meant to be comprehensive. On the other hand, the authors have included the RSC effort "Kitchen chemistry" of using MG in education whereas several others have been left out, such as the efforts in France (two links), Portugal, Spain, Finland and Norway. However, this leaves the field open for those among us interested in MG-in-education to contribute as the authors openly invite others to join in the game, and we should do so. Whereas Chemical Reviews is ranked #1 among chemistry journals and ..., the other paper I came over is from 2007 in Journal of Agricultural & Food Information for which I can't find any impact factor or ranking (a way of ranking which journals are the most "important" or influential). However, it must not be confused with the major food science journal Journal of Agricultural & Food Chemistry (the similarity almost makes one suspicious). The paper "Molecular Gastronomy: Overview of a Controversial Food Science Discipline" gives a short overview, but is mostly limited to papers by Hervé This and non-scientific sources such as newpaper and magazine articles, web pages and other multimedia. However, in 2007, there was not much either, and the papers by van der Linden et al. had yet to arrive (2008, refs. here). I'd say that the paper gives a rough picture of what was the state in 2007, but having a look through Hervé This' papers and having a look at major blogs, especially khymos, would be even more enlightening. Notably, khymos is the only blog mentioned in the paper (congratulations to Martin on another academic citation). Among the really interesting things about MG is in fact that it has grown out of genuine interest and love amongst people not having their academic careers in food chemistry. How many areas being termed as "A New Emerging scientific Discipline" have in part been driven forward by such things as blogs, newsgroups and discussion forums? I guess some research areas within media and www might be, but chemistry and the physical sciences? It might be an interesting object for science sociologists and science theoreticians, I guess ...if they knew about this. I've added another blog to my blogroll: Anu Hopia's Finnish blog on MG "molekyyligastronomia" (google translated version). She does lots of good work on MG, culinary precisions (by the possibly better name "kitchen stories") and popularisation and is hereby warmly recommended. Also, I'd like to remind about Andrew Ross' excellent blog "Bringing food chemistry to life". He has had some outstanding teaching and resource tips in his recent posts. A must on the rss list. Blanck, J. F. "Molecular Gastronomy: Overview of a Controversial Food Science Discipline" J. Agric. Food. Inf. 2007, 8 (3), 77-85. 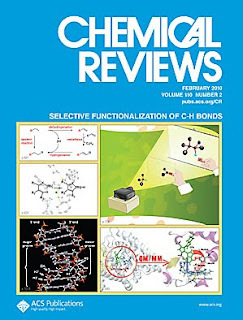 I see major reviews, such as the one in Chemical Reviews, as a sign that an area of research is now well accepted in the community.